Bingo pinball games might not actually resemble modern-day pinball games; it’s also possible they’re illegal in some areas, as they were mainly used as gambling devices and outlawed decades ago, but they still pop up here and there taunting the collector with a rare opportunity to get a hernia. 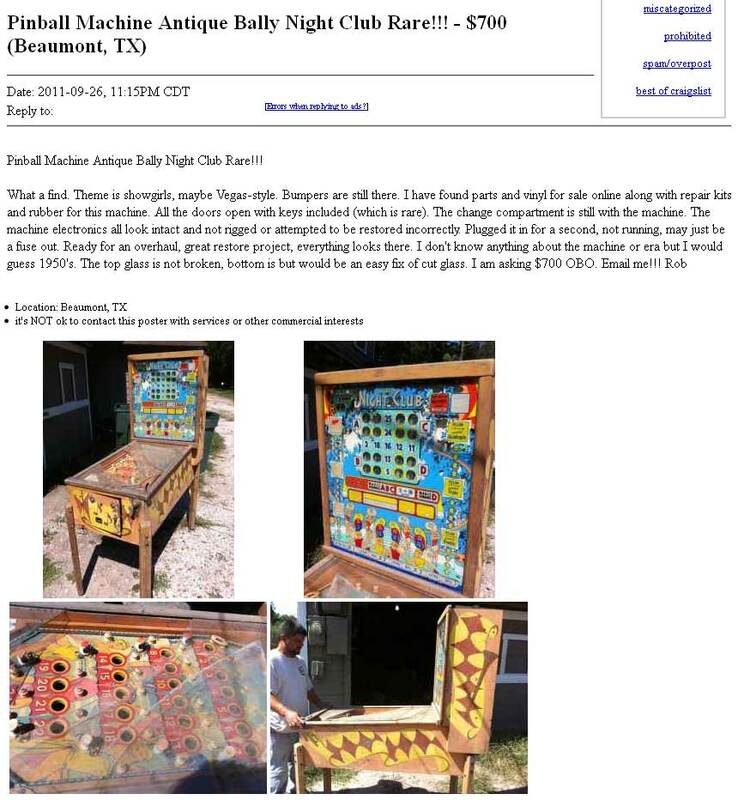 This entry was posted in Bally, Pinball Ads and tagged ads, greed, ridiculous by admin. Bookmark the permalink.